Music professor Kenneth Bozeman examines the role voice plays in forming connections, relationships and social structures in Lawrence University’s annual Honors Convocation. Bozeman, the Frank C. Shattuck Professor of Music, presents “Voice, the Muscle of the Soul: Finding Yourself Through Finding Your Voice,” Tuesday, May 22 at 11:10 a.m. in the Lawrence Memorial Chapel. The event is free and open to the public and also will be available via live webcast at livestream.com/LawrenceUniversity. The Honors Convocation publicly recognizes students and faculty recipients of awards and prizes for excellence in the arts, humanities, sciences, social sciences, languages and music as well as demonstrated excellence in athletics and service to others. Bozeman was chosen as the speaker as the recipient of Lawrence’s Faculty Convocation Award, which honors a faculty member for distinguished professional work. 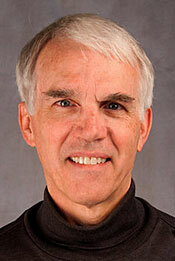 He is the ninth faculty member so honored. According to Bozeman, a person’s voice is a kind of audible fingerprint, helping define who we are and of who we perceive ourselves to be. Beginning with the first breath immediately after birth, humans are hard-wired to express feelings and needs primarily through voice. It is strongly associated with personal identity. The process of developing one’s voice and the ability to express one’s deepest feelings and convictions through voice is a process of self-discovery and self-formation. 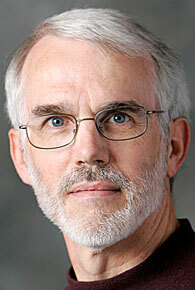 A member of the faculty since 1977, Bozeman began his career teaching teaching voice science and pedagogy. 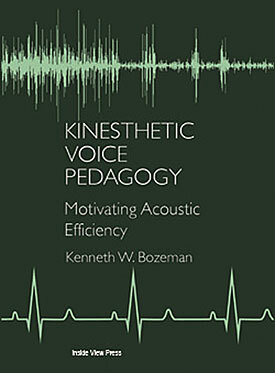 He is the author of two books, “Practical Vocal Acoustics: Pedagogic Applications for Teachers and Singers” and “Kinesthetic Voice Pedagogy: Motivating Acoustic Efficiency.” He was awarded the Van Lawrence Fellowship by the Voice Foundation in 1994 for his interest in voice science and pedagogy and serves as the chair of the editorial board of the Journal of Singing. He has been recognized with both of Lawrence’s teaching honors, the Young Teacher Award in 1980 and the Excellence in Teaching Award in 1996.